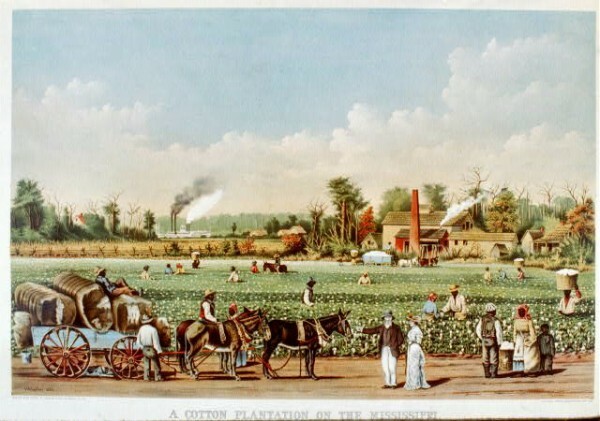 Plantation, Mississippi, Cotton, 1884,Currier & Ives - Cotton plantation on the Mississippi, 1884. loc.gov. 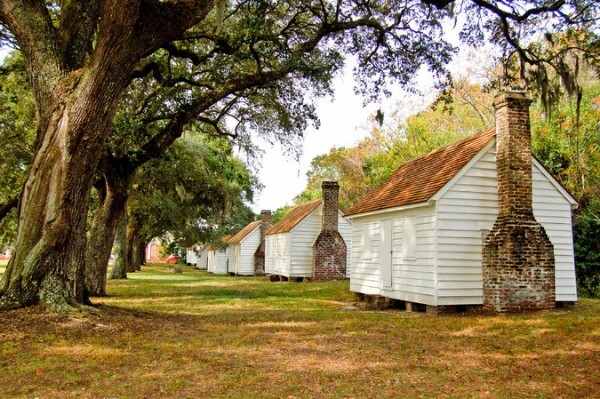 Curious about what life was really like on a Lowcountry plantation? Well, you’ve got more than a few options to explore around here in Charleston. Next weekend is Plantation Days out at famous Middleton Plantation, home to the oldest landscaped gardens in the country. Scoot out Hwy 61 to watch craftworkers demonstrate the skills practiced by slaves as they prepared antebellum plantations for winter. We love the gorgeous plantations out West of the Ashley, but there’s now another option open to the public that demonstrates plantation life on a more common, less-grand level: McLeod Plantation. That us thinking about the history of James Island and the plantations out there; some pretty cool stuff--check it out! A year after Charles Town was settled on the Ashley River, a colony of 12,000 acres was established by some forty Dutch that had arrived from New York. No one knows exactly where this settlement was except that it was somewhere along New Town Creek (James Island Creek). 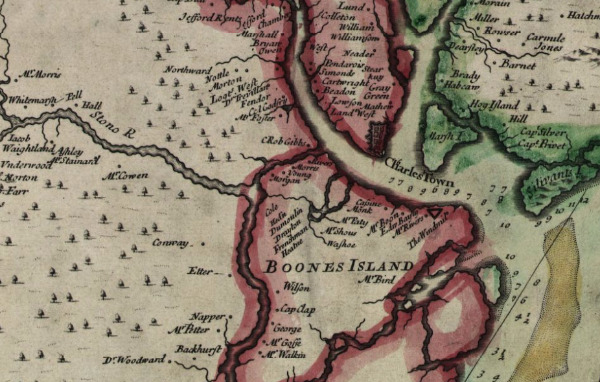 Named after James II after King Charles’ brother, it was called Boone’s Island after one of its first settlers, John Boone, who evidently got run out of town in 1691 when it was discovered he was colluding with pirates. Large plantations were established on the island through the 1700s, and James Island was also well-known for the fine ship carpentry and craftsmanship of the James Island Shipyard. Who knew James Island was so old? And with a fancy shipyard to boot? “The Stiles-Hinson house is actually two houses built back to back. 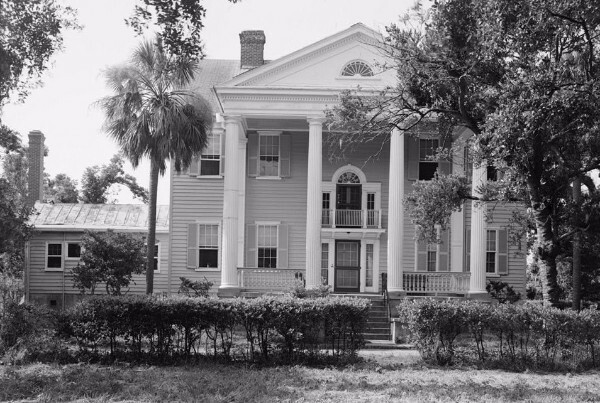 Built in 1742 by Benjamin Stiles, a pioneer planter on James Island, the Stiles-Hinson house was a vital plantation during the 18th and 19th centuries. 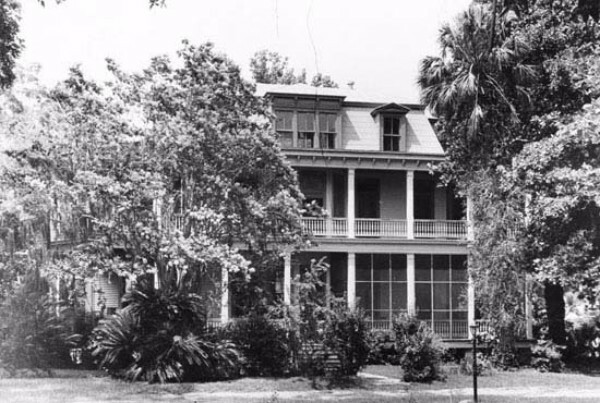 William Godber Hinson, who made significant contributions in the field of agricultural science, built the 1891 portion of the house and continued to keep the plantation active until the early years of the 20th century. The back-to-back arrangement of a relatively unaltered 18th century cottage and a late 19th century Victorian mansion is most unusual and is unique in this area. Despite their wedded interior, the exterior of both houses are characteristic of their historic periods. The Stiles portion of the house is an example of a mid-18th century planter’s house. The modified bellcast gambrel roof, the projecting shed dormers, and the double shouldered brick chimneys are notable features of this simple planters cottage. The structure is one-and-one-half stories and rests on a low foundation. The riverside house, built by Hinson, is a large and elegant Victorian structure with high ceiling, bracketed cornices, a mansard roof, and wooden balustrades. This addition is cottage. The structure is one-and-one-half stories and rests on a low foundation. The riverside house, built by Hinson, is a large and elegant Victorian structure with high ceiling, bracketed cornices, a mansard roof, and wooden balustrades. This addition is two-and-one-half stories and is supported by low brick piers above a partial basement. Another old plantation home survives on what was the Lawton Bluff Plantation, called the Heyward-Cuthbert House at 683 Fort Sumter Drive. It is believed to have been completed in 1740, making it the oldest home on the island. The wood frame farm house with a gambrel roof is said to have housed black smallpox victims during the Civil War. When Clyde Bresse moved with his family to James Island in 1921 so that his father could run the dairy farm at Stiles Point, they lived in this house, as described in his wonderful memoir, Sea Island Yankee. Have y’all driven by there lately? The house looks GREAT. James Island is one of the Sea Islands off the coast of South Carolina and Georgia that produced the highly prized cotton Gossypium Bardadense, the fine, long-fibered cotton that made the Lowcountry extremely wealthy during the middle of the 19th century. Throughout the 1800s, the number of planters that moved to James Island to live on their plantations and summer homes increased: prior to the Civil War there were 21 planters and their families living on the island. After the war, only a handful of plantation homes stood and McLeod Plantation was the only antebellum plantation complex to survive. After McLeod's grandson, William Ellis McLeod, inherited the property in 1918, he turned it from a cotton plantation into a potato, asparagus, and dairy farm. Most of James Island’s plantations were turned into tennant truck farms, growing everything from tomatoes and cucumbers to cowpeas and cabbage. Vegetables were transported by boat over the the wharves in Charleston to be sold or shipped up North. 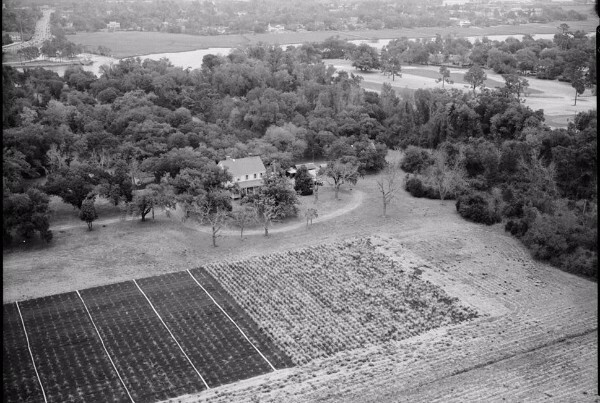 Over the years, farmland was sold off as needed to make ends meet, but James Island remained largely rural and agrarian through the 1950s. When he died in 1990, Willie McLeod left the 39 remaining acres of the original estate to the Historic Charleston Foundation with the stipulation that the grounds be preserved with the lowest residential density possible. After a few tries at finding a suitable use for the tract (and the help of Friends of McLeod), the Charleston County Parks and Recreation Commission took it over, completed some restorations, and--yes!--made it available to the public to explore about six months ago. What’s really remarkable about McLeod Plantation is that it's one of the last few plantations to retain many of its original antebellum structures. Still standing are the main house, five slave cabins, a kitchen, dairy, gin house, barn, and some other agricultural buildings. Oh- and the McLeod Oak is said to be 1,000 years old--the second oldest to Angel Oak on nearby John’s Island. It’s massive and the trunk has grown around the original iron ringing bell used on the plantation. Have y’all been out there yet? It’s truly a unique experience. Go, you’ll see what we mean. Well before other James Island landowners turned to real estate development and divided their land into residential neighborhoods in the 1950s and 60s, the first planned neighborhood was laid out in the northwest part of the island in the 1920s, just down the King’s Highway (now Maybank Highway) from McLeod Plantation. Wappoo Road, splitting off of Maybank as the entrance to the Riverland Terrace neighborhood, runs under an old live oak allee that originally led to Wappoo Hall Plantation on the banks of the Stono River. 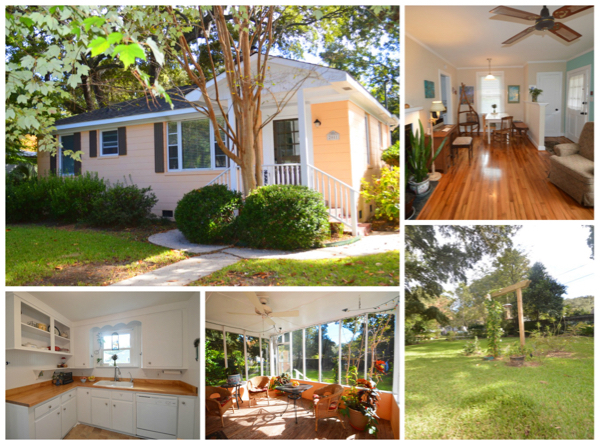 Lois just listed for sale one of the charming homes in this historically rich area at 2081 Coker Avenue. Please call her at 843-270-2797 to schedule a showing! Beautifully maintained three bedroom home situated on a large lot featuring hardwood floors and a fireplace in the living room. Off the kitchen is a screened in porch overlooking the backyard filled with lots of mature local flora.This property has a fenced back yard and large workshop/garage with 384 square feet. Neighborhood park and boat ramp are located within walking distance.